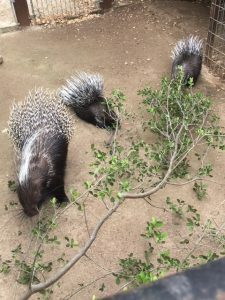 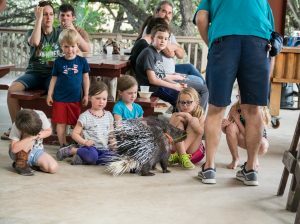 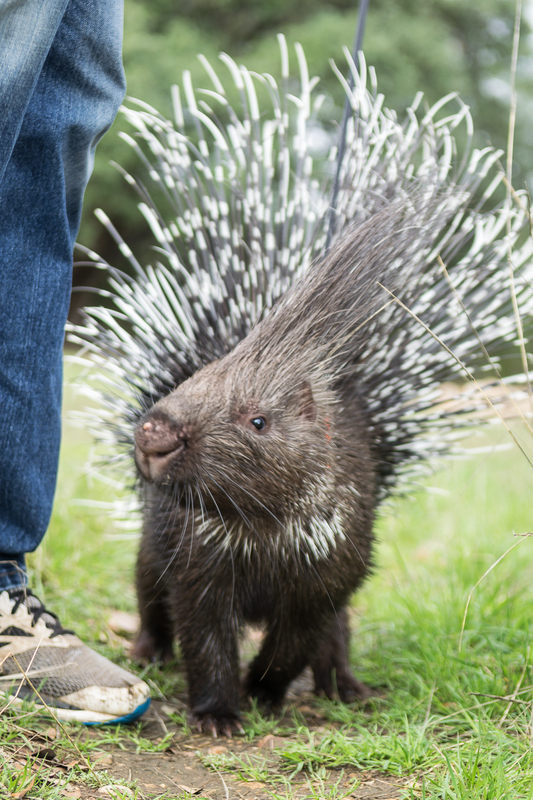 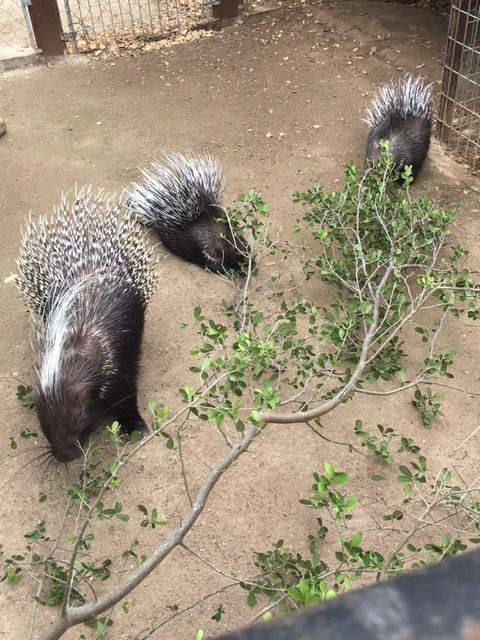 Hasani, Jabari, & Jamoke – African Porcupines ~ They love a nice belly rub. 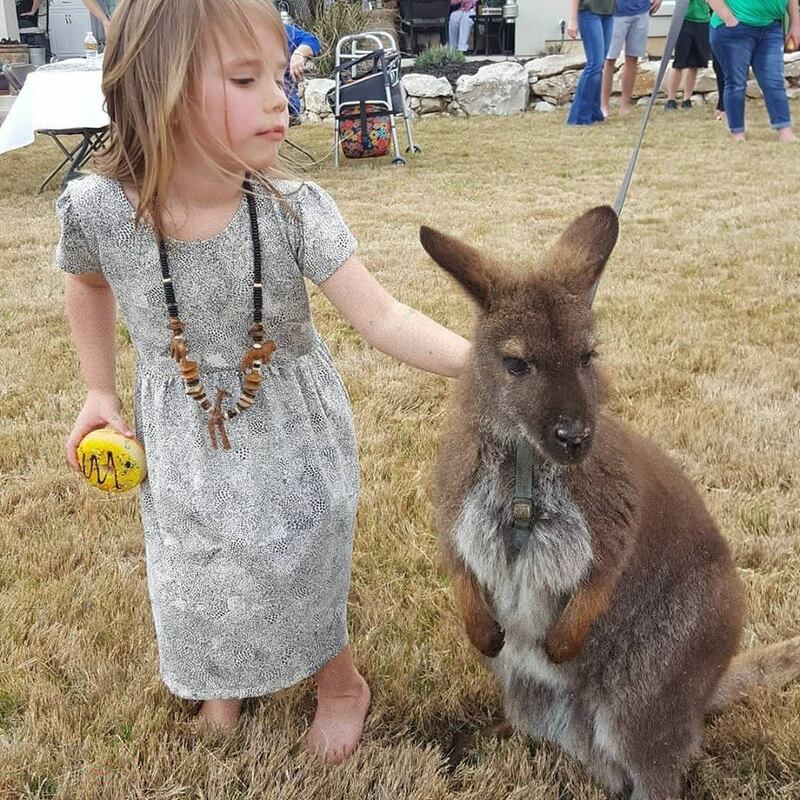 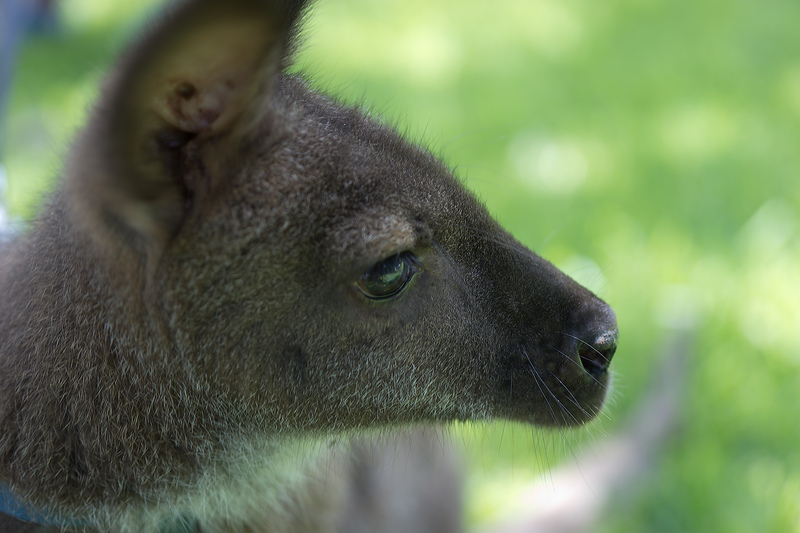 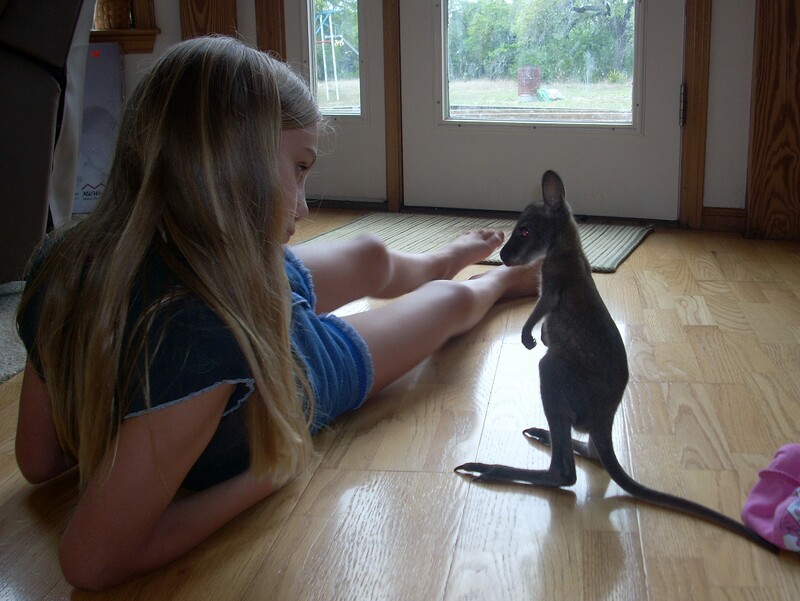 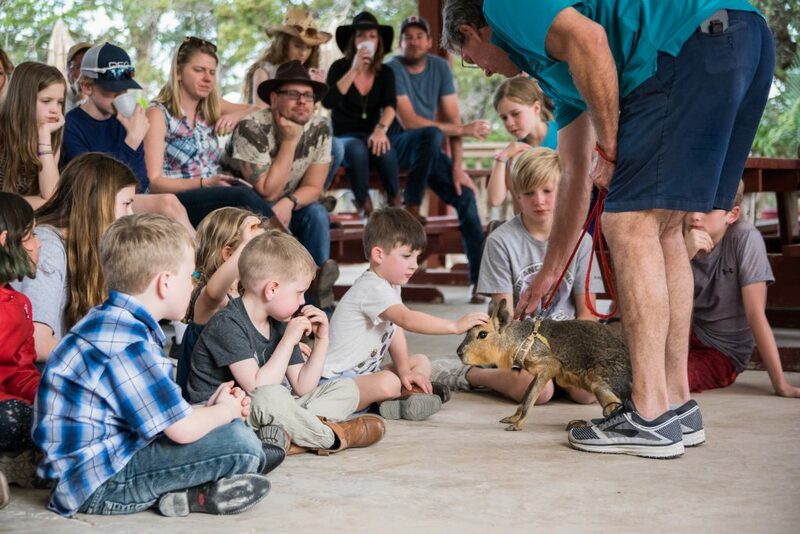 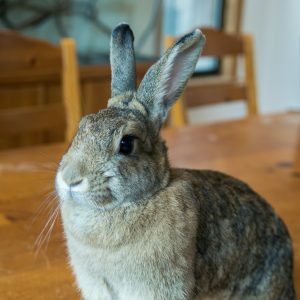 Taz – Bennett’s Wallaby ~ He loves to be scratched behind the ears. 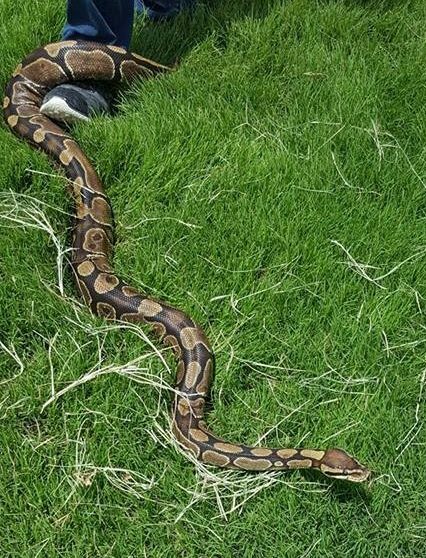 Duke – Ball Python ~ He sometimes sits up like a Cobra, but he is very gentle. 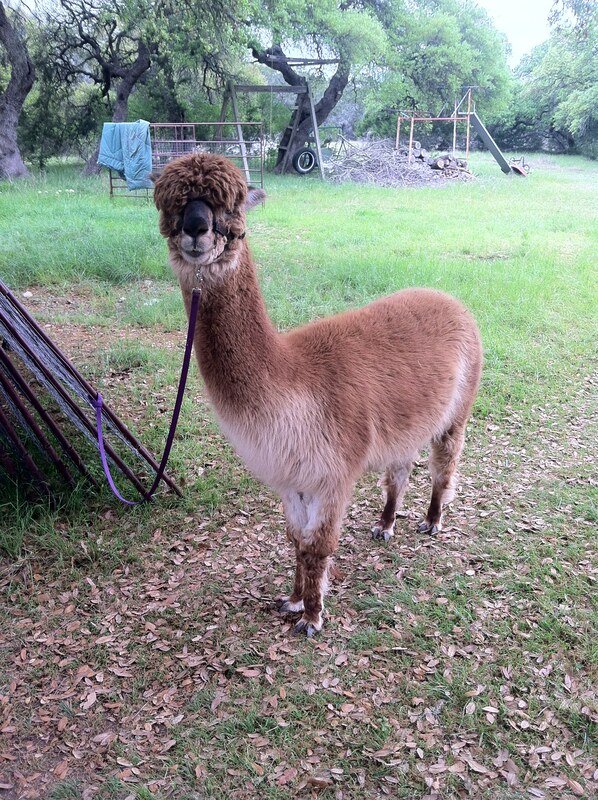 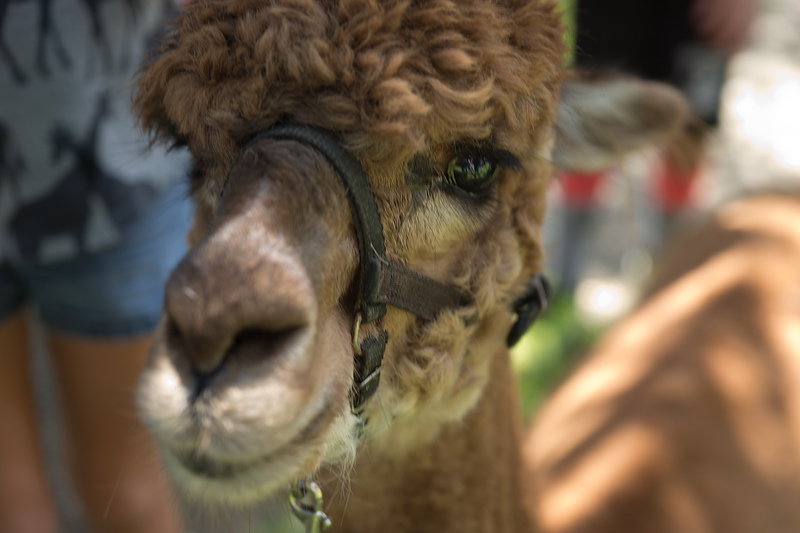 Kuzco – Alpaca ~ He grows hair throughout the year until his annual shearing. 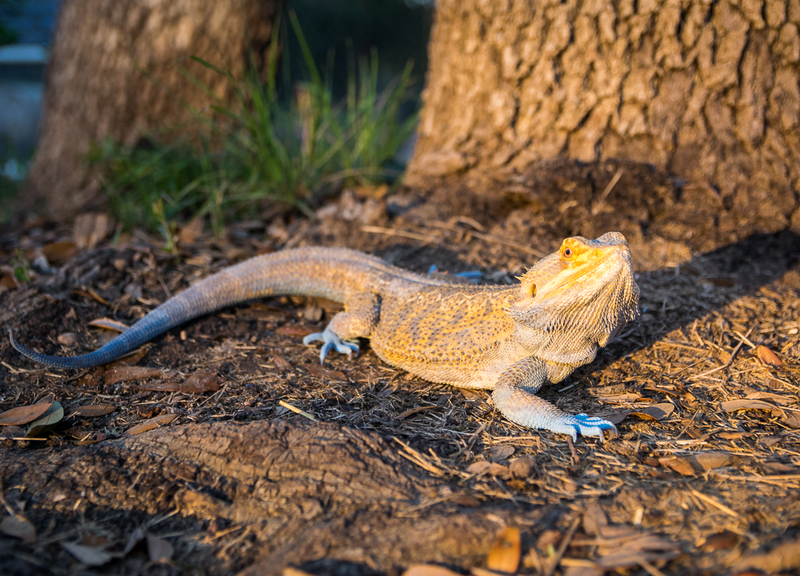 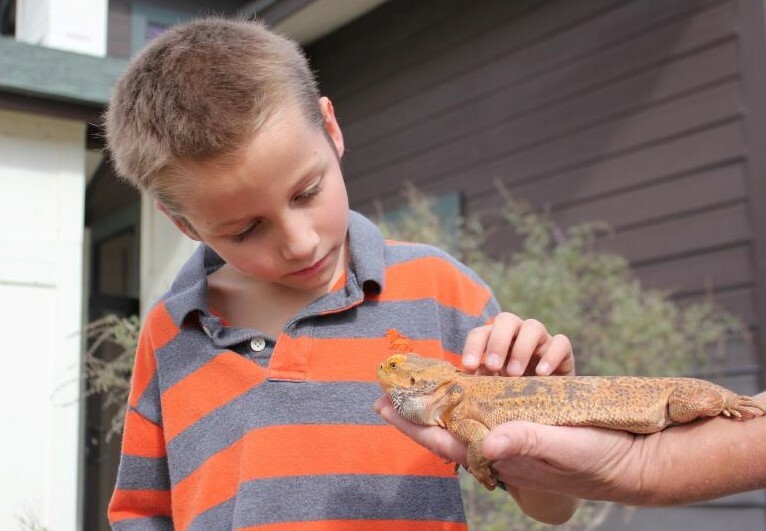 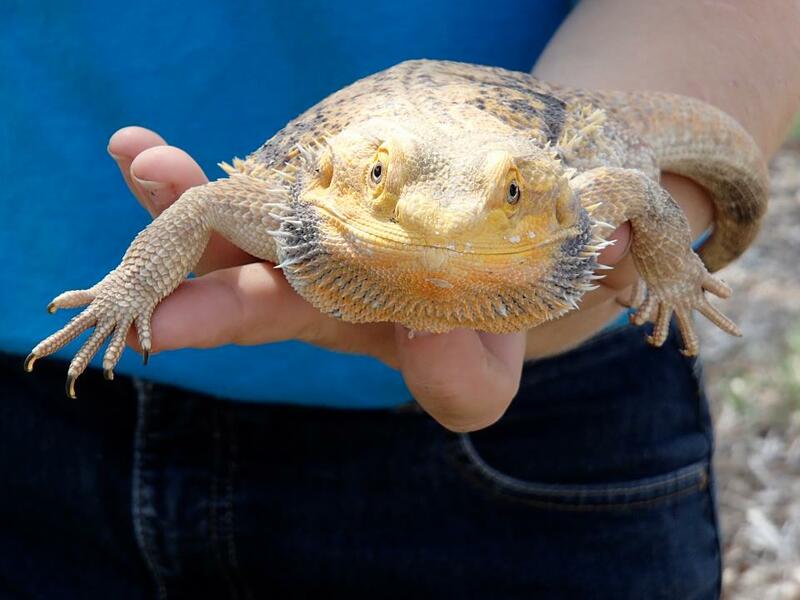 Mushu – Bearded Dragon ~ He likes to bask in the sun. 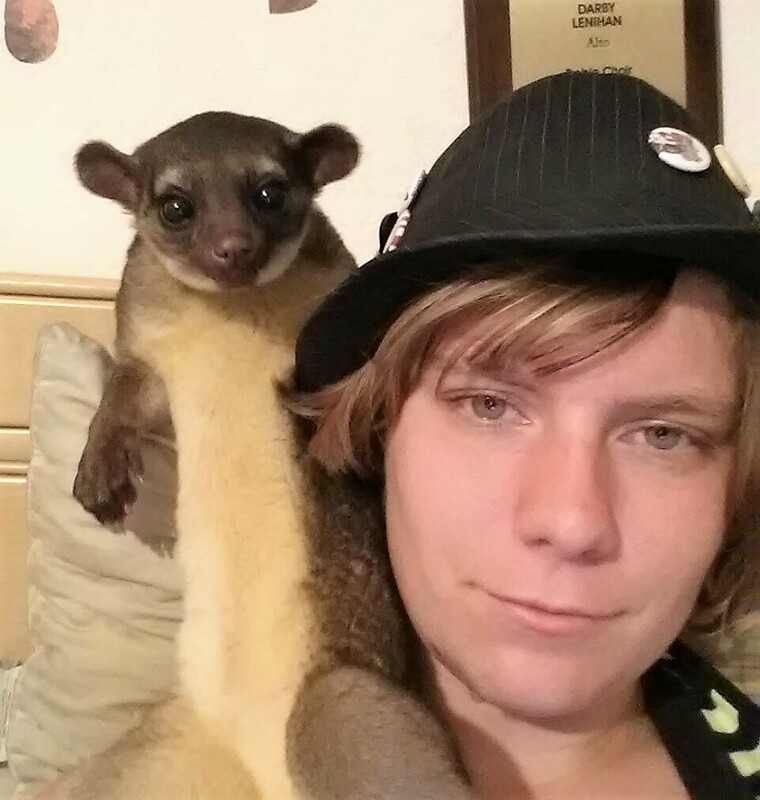 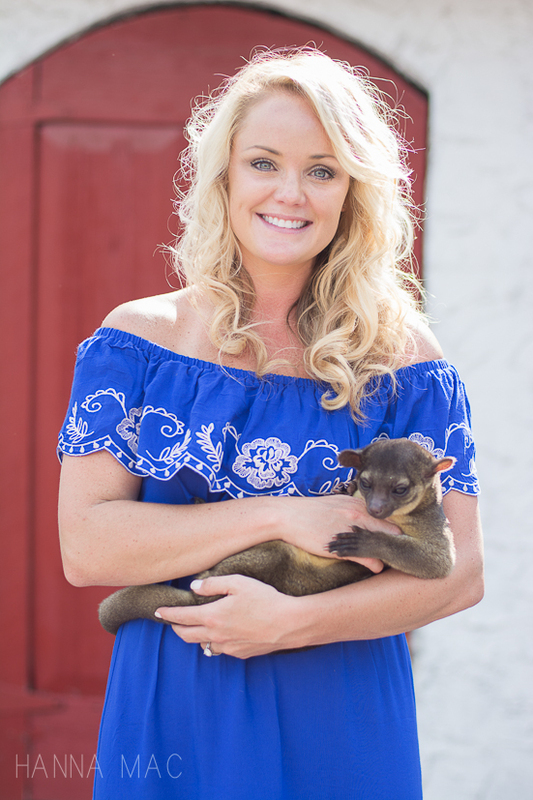 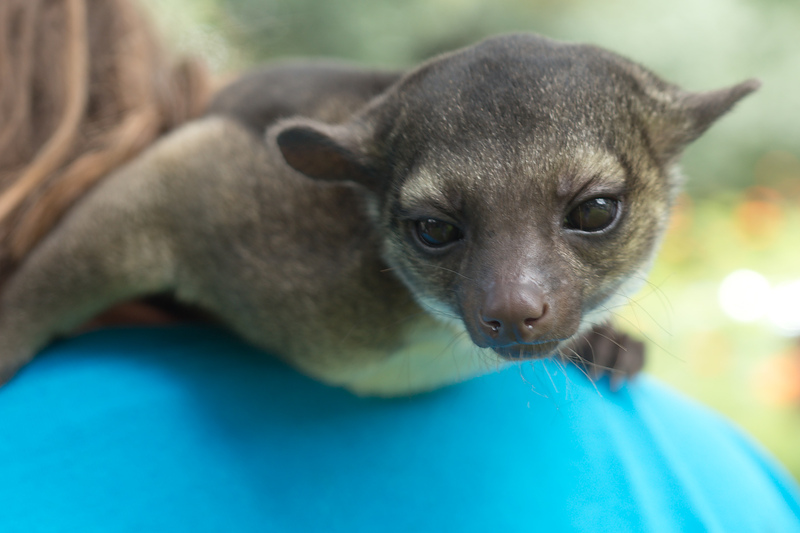 Tulio – Kinkajou ~ He is nocturnal and can hang by his prehensile tail. 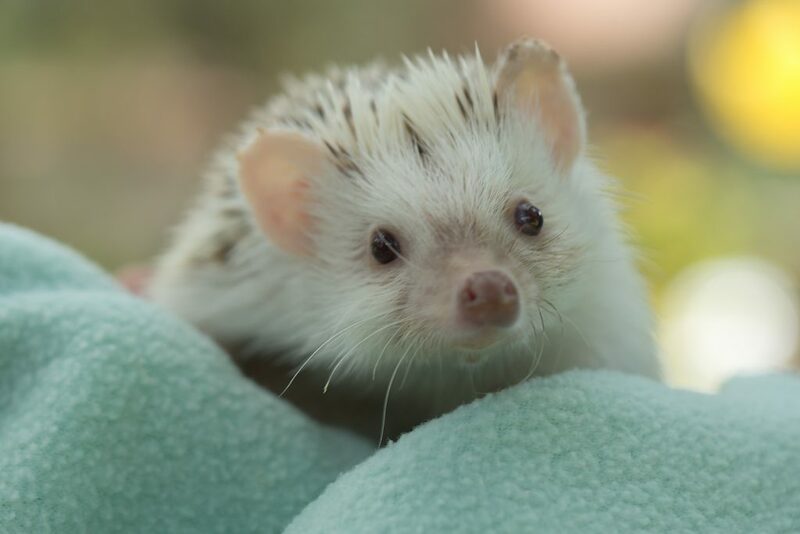 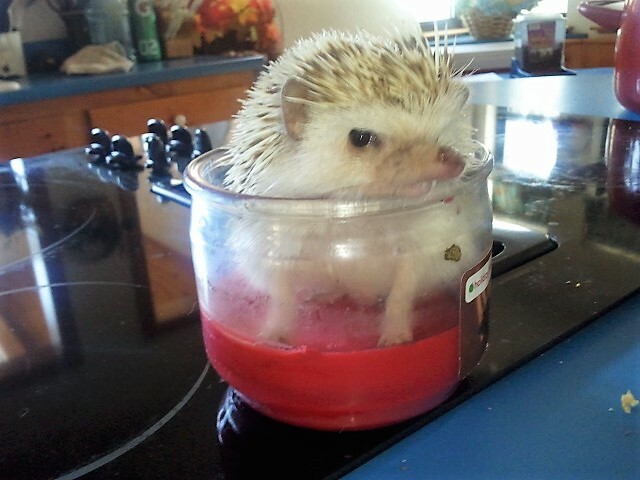 Snowball – Hedgehog ~ For defense, he rolls up in a ball with his 5000 quills for protection. 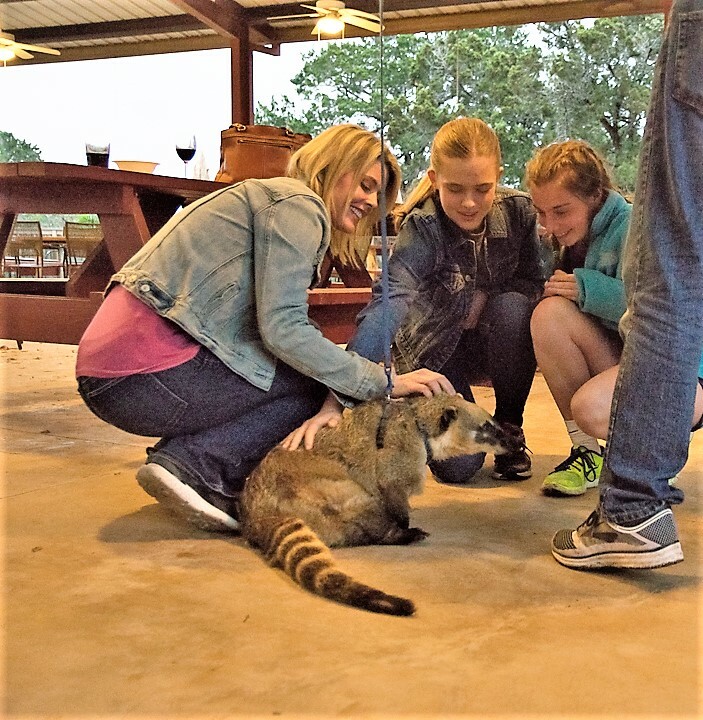 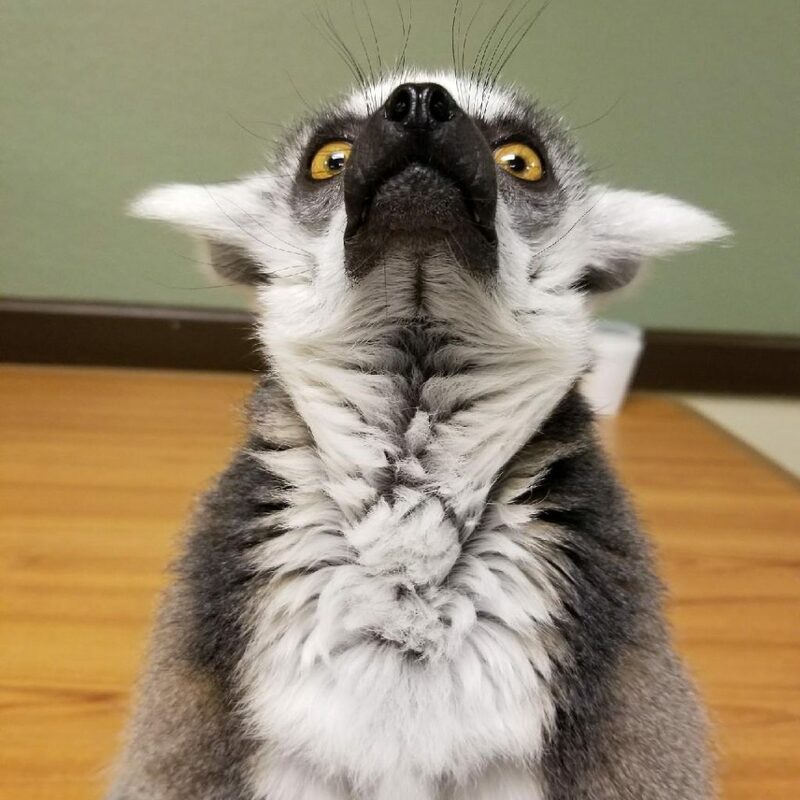 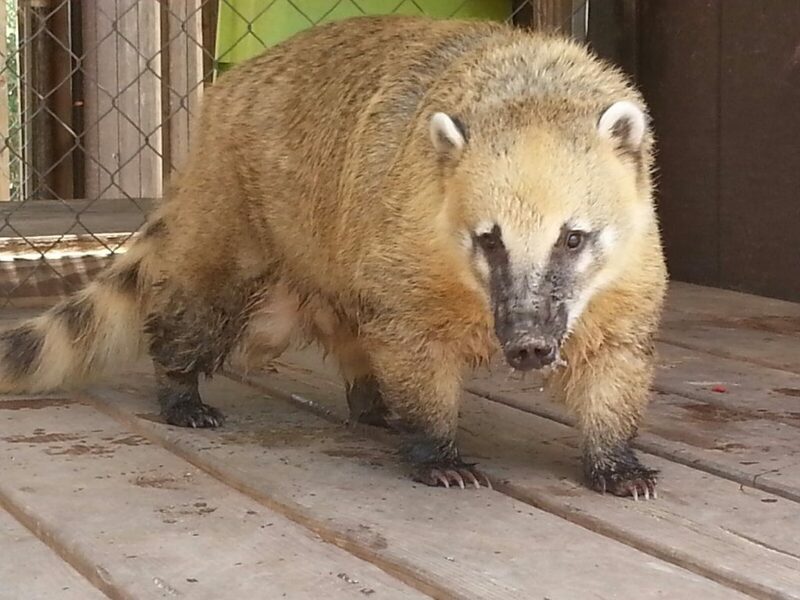 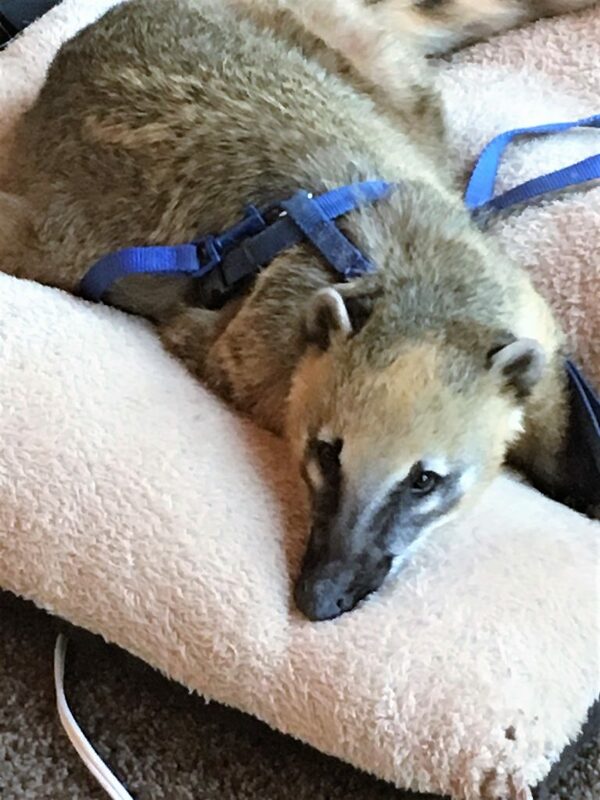 Mateo – Coatimundi ~ He has a long nose which he uses to sniff out food in small holes and crevices. 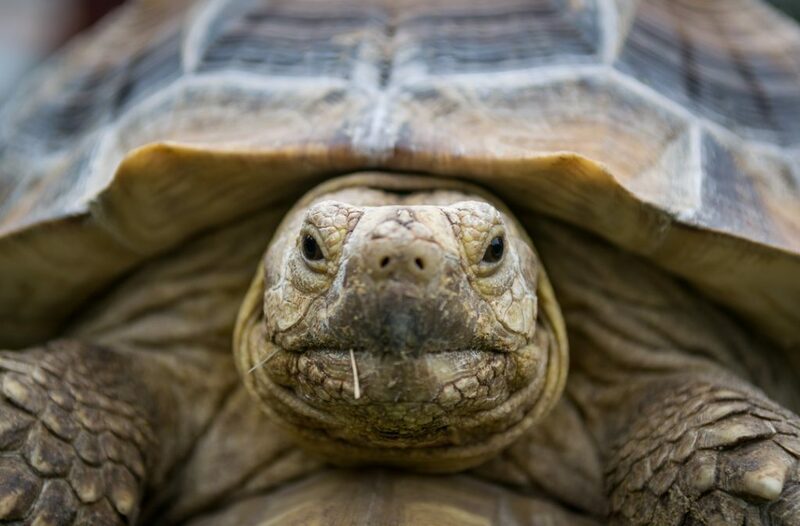 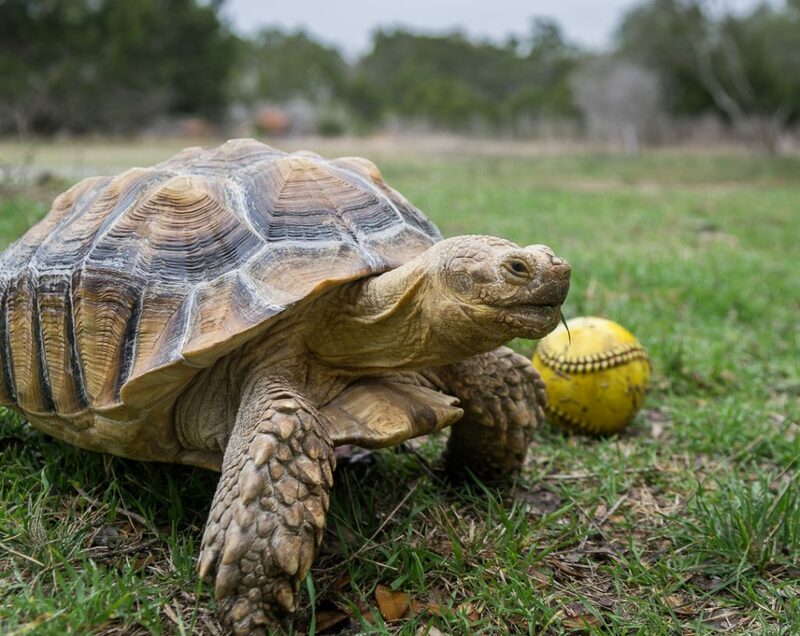 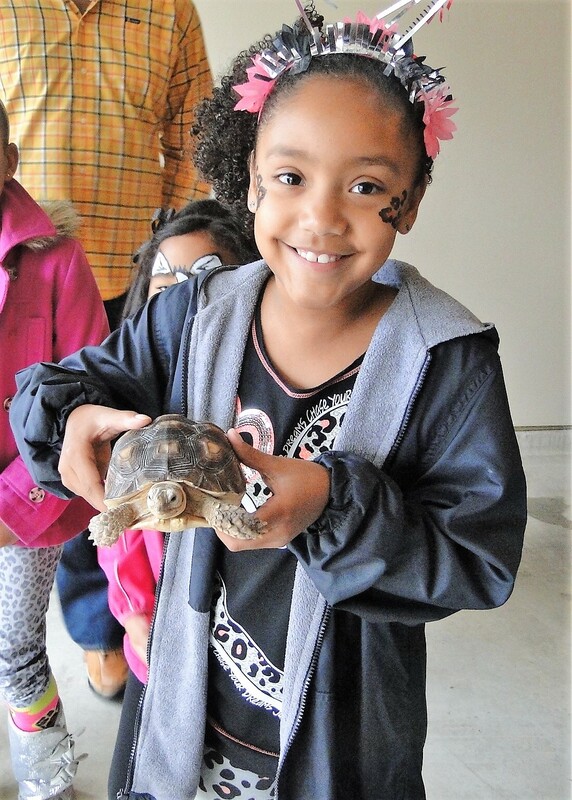 Tiny – African Spurred Tortoise ~ He doubles his size every three years and will weigh over 140 lbs. 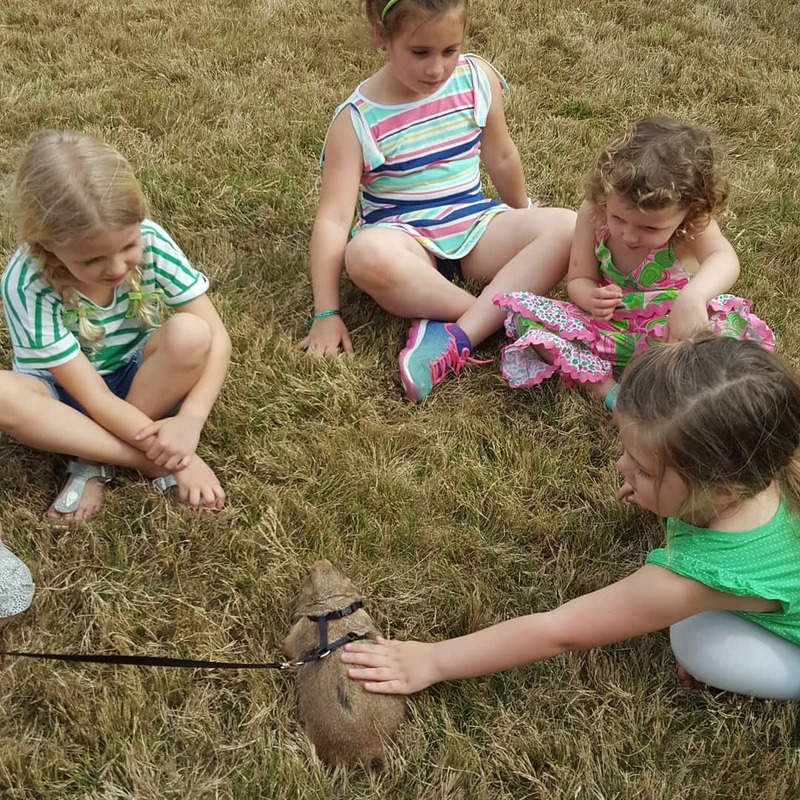 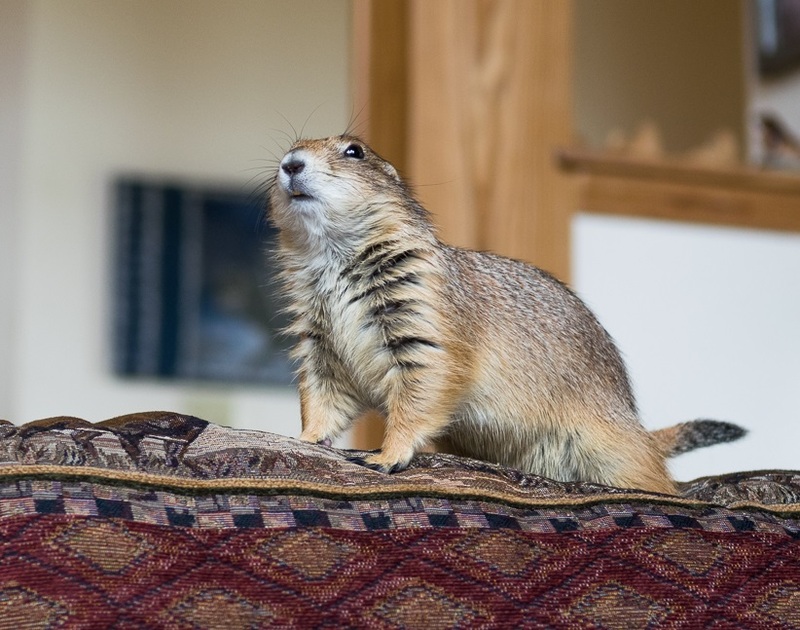 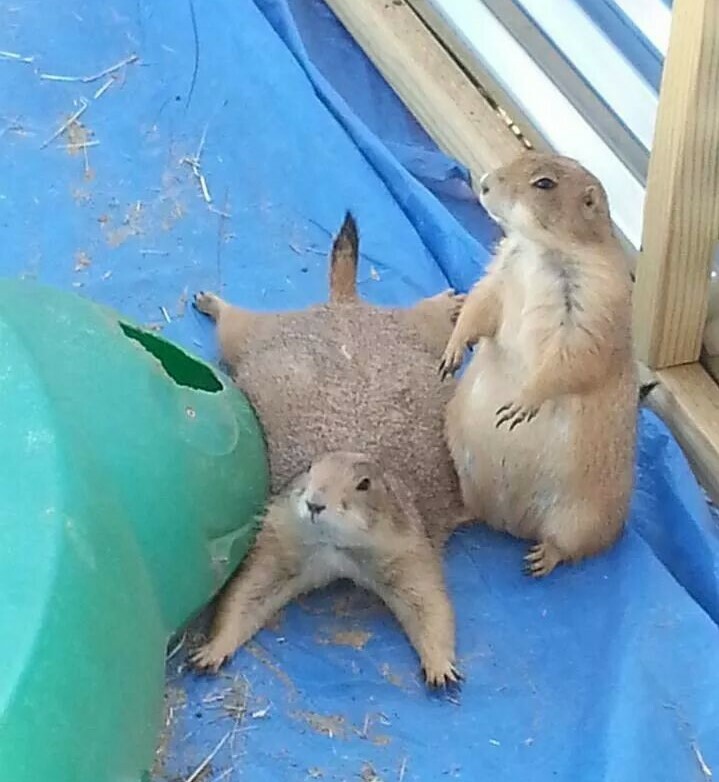 Huey & Louie – Prairie dogs ~ They love to dig, and have a high pitched bark when they are excited. 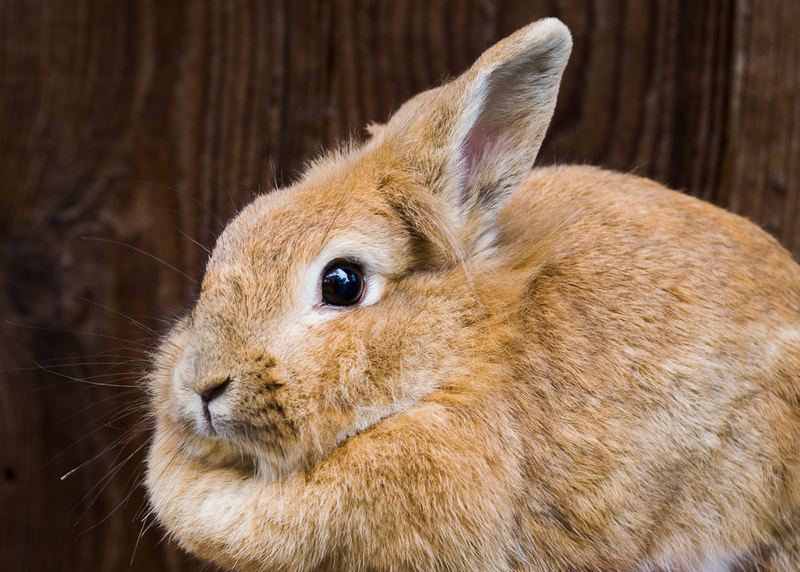 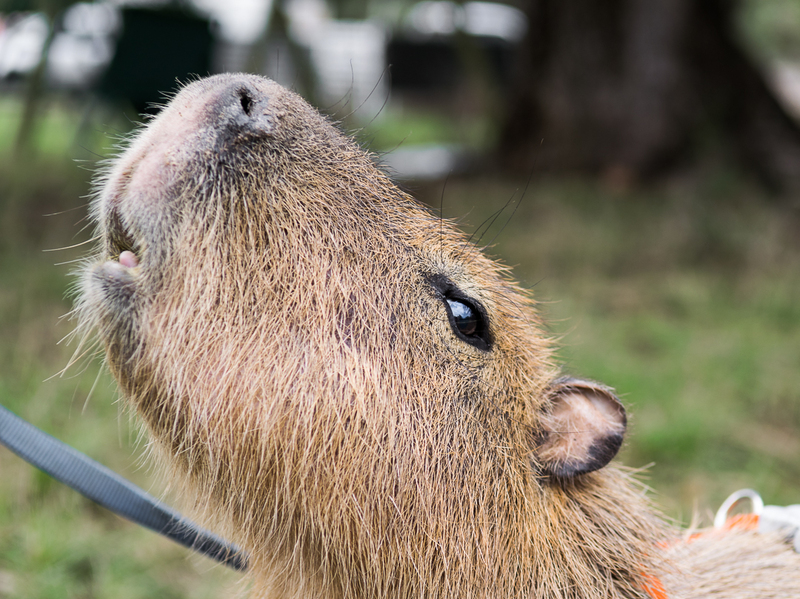 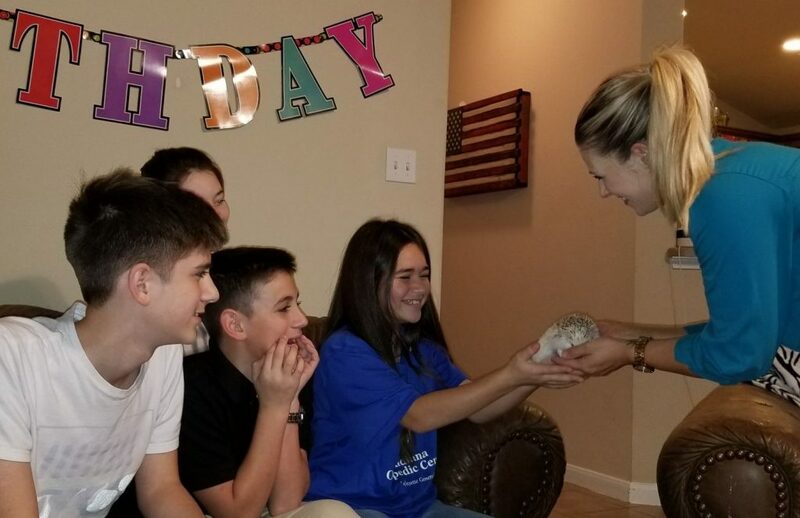 Ginger – Cabybara ~ The “Super mouse”, she is the largest rodent in the world, and loves to swim. 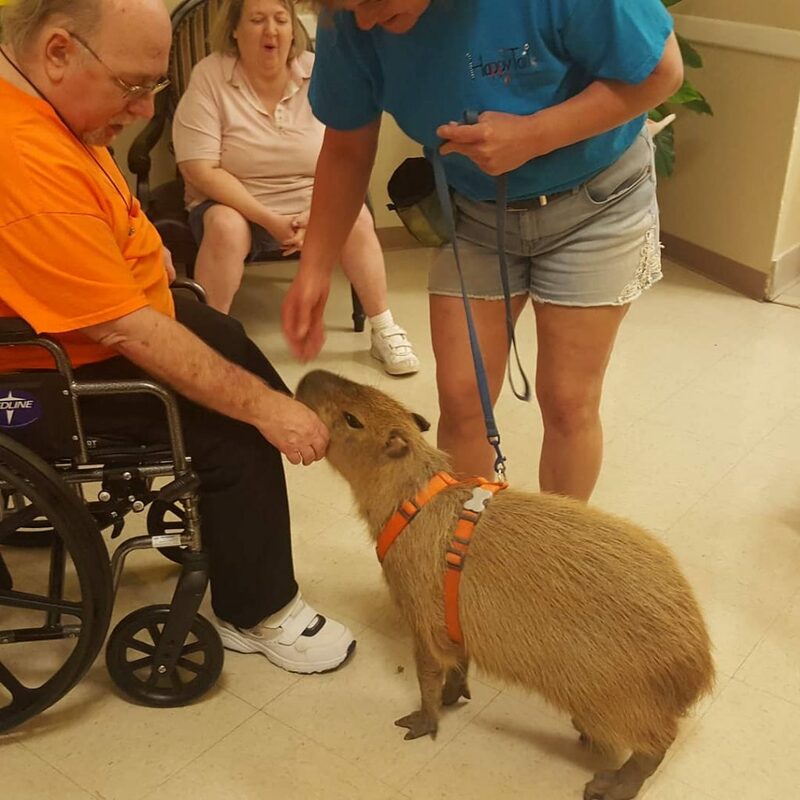 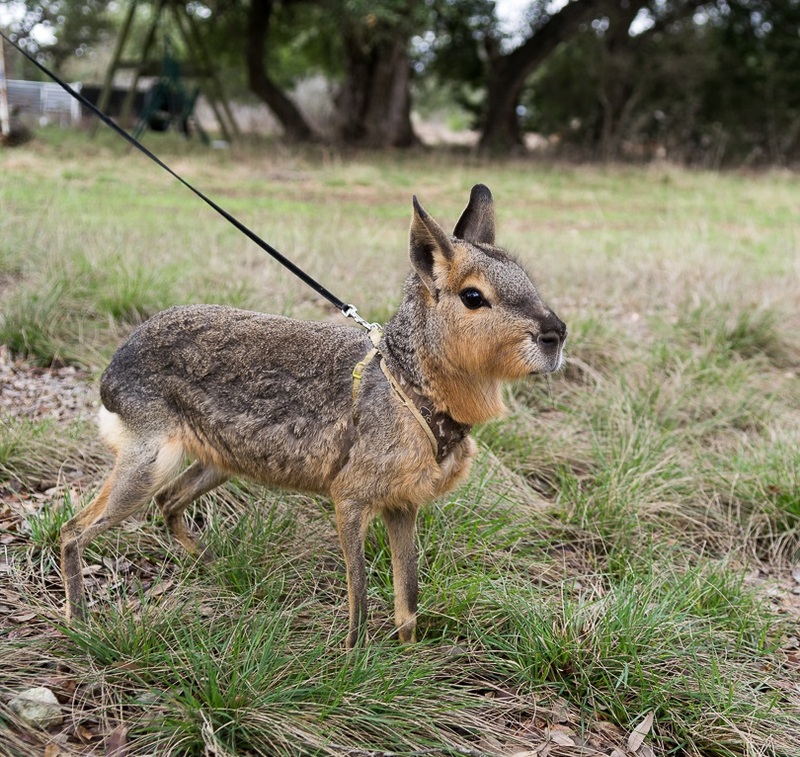 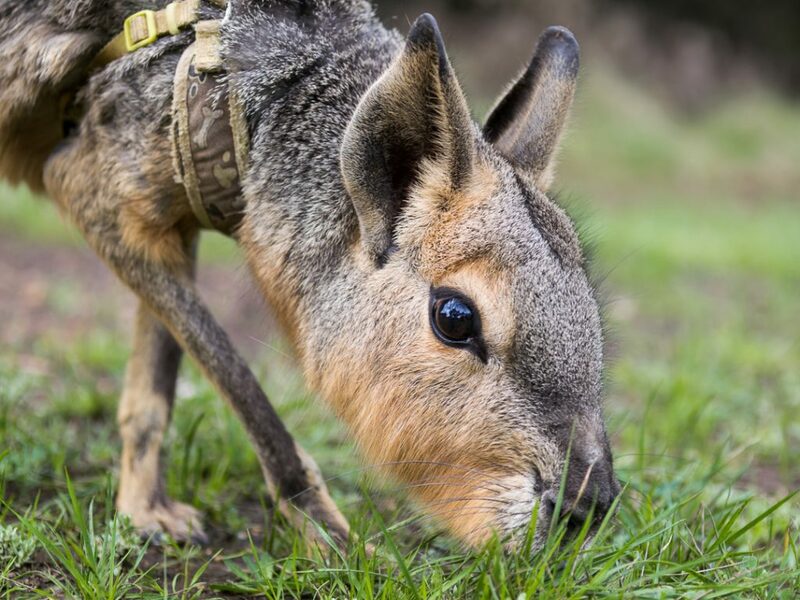 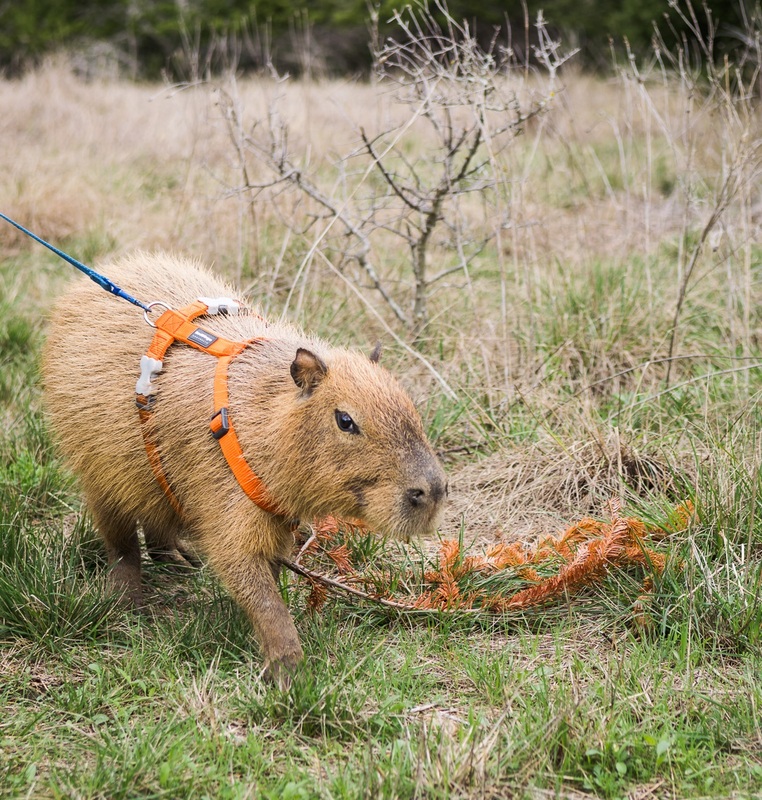 Carino – Patagonian Cavy ~ He is a rodent found only in Argentina, galloping or bouncing on all fours. 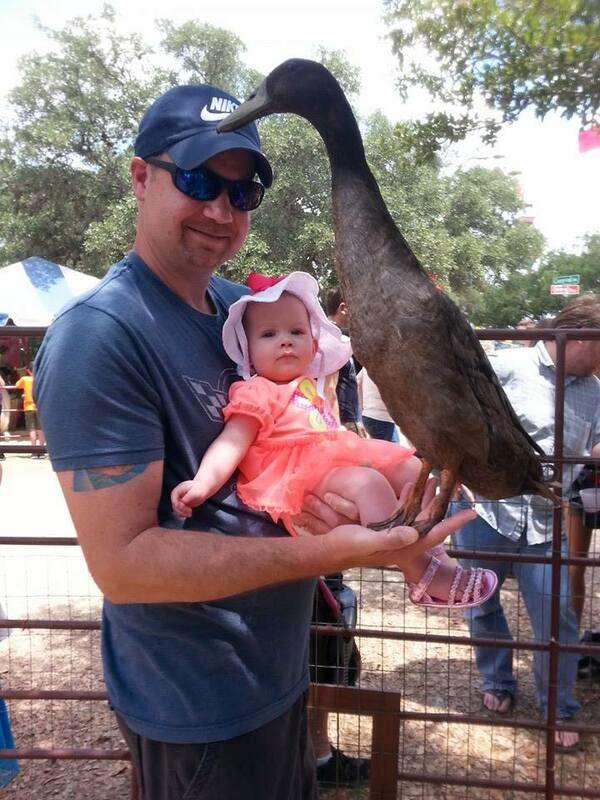 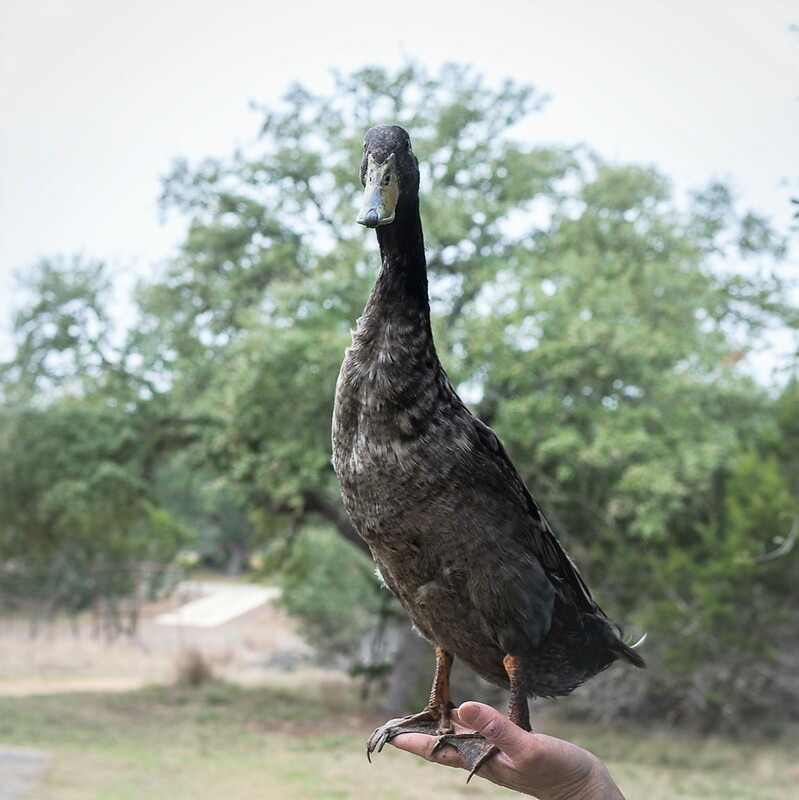 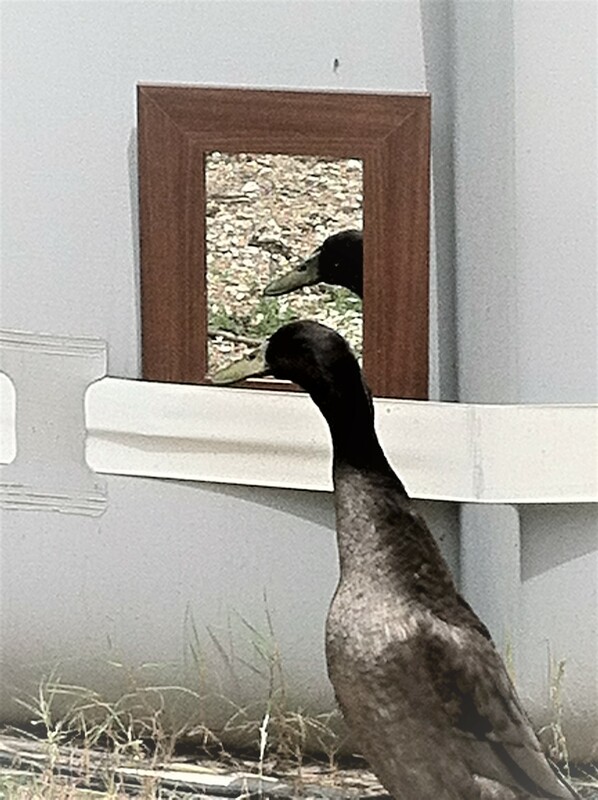 Polo and Peep – Indian Runner Ducks ~ The “bowling pin duck” cannot fly, and is very friendly. 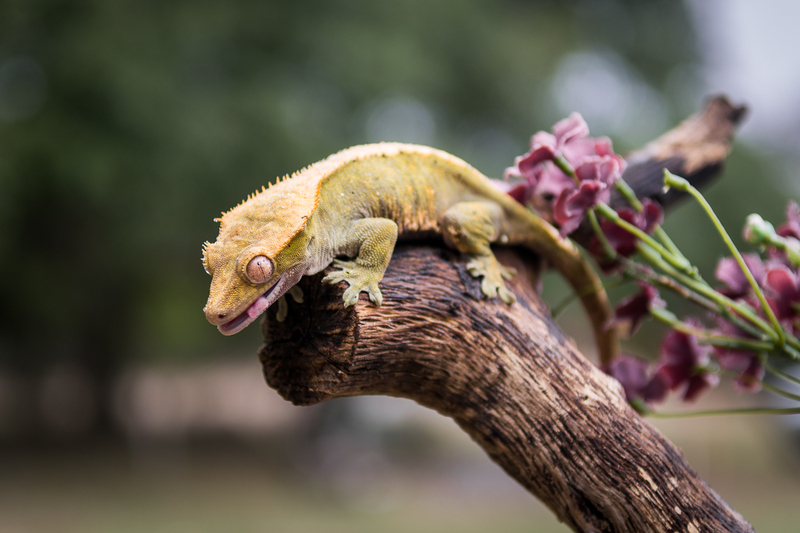 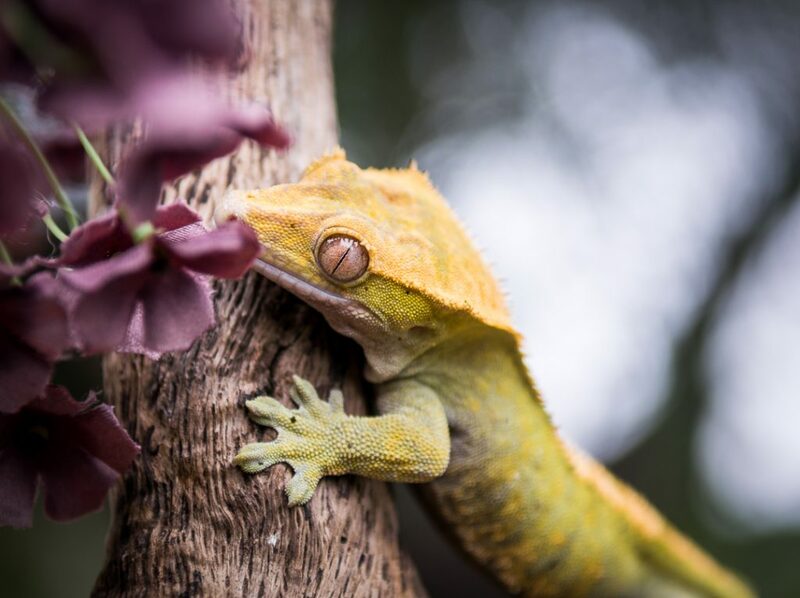 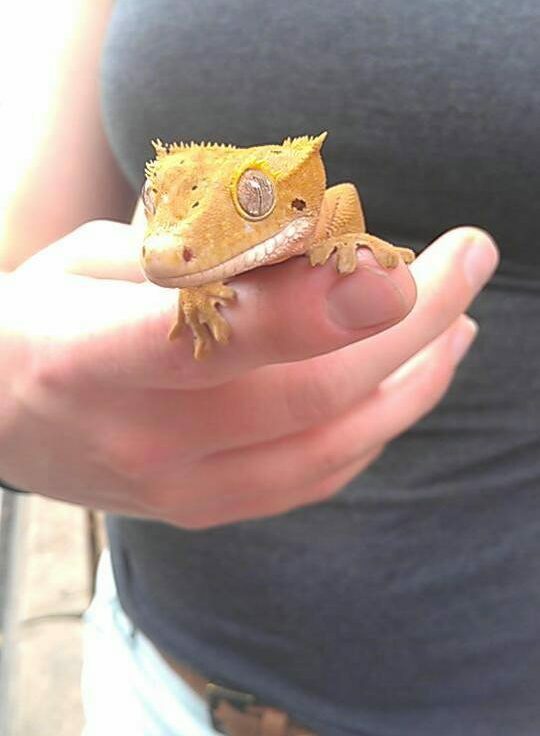 Gizmo – Crested Gecko ~ He cleans his eyes by licking them with his spoon-shaped tongue. 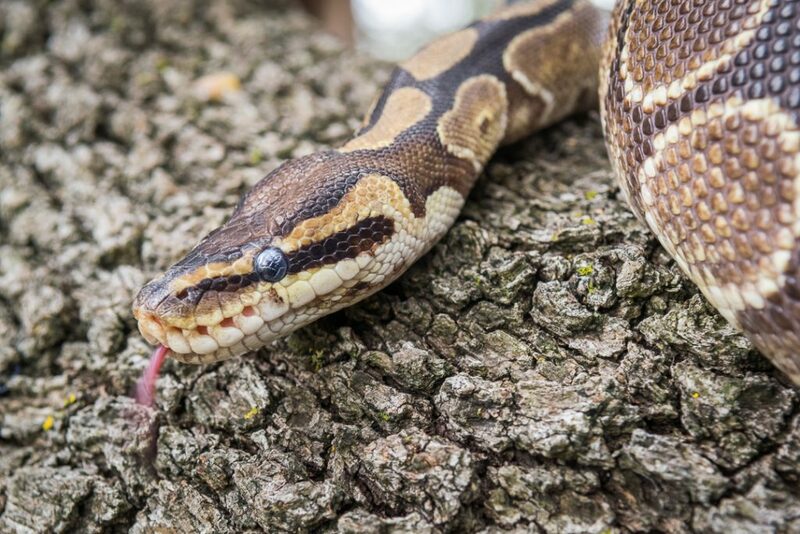 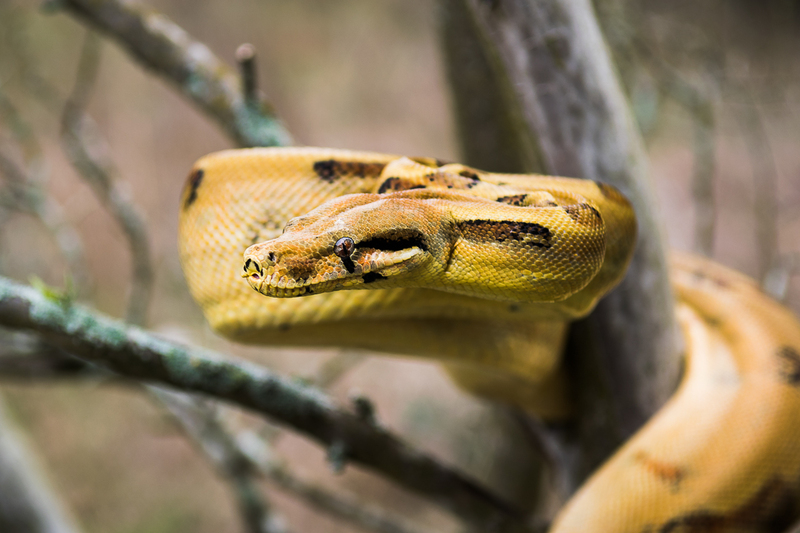 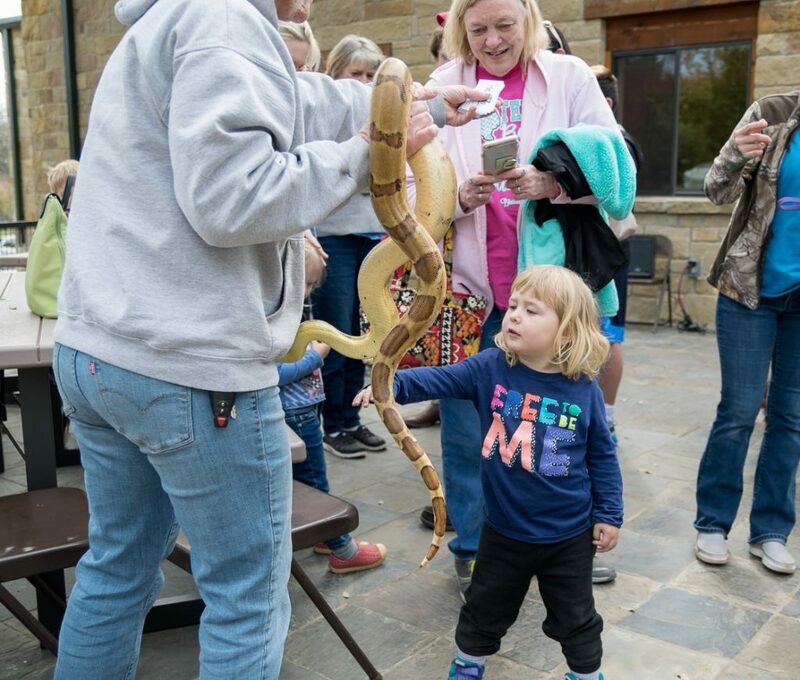 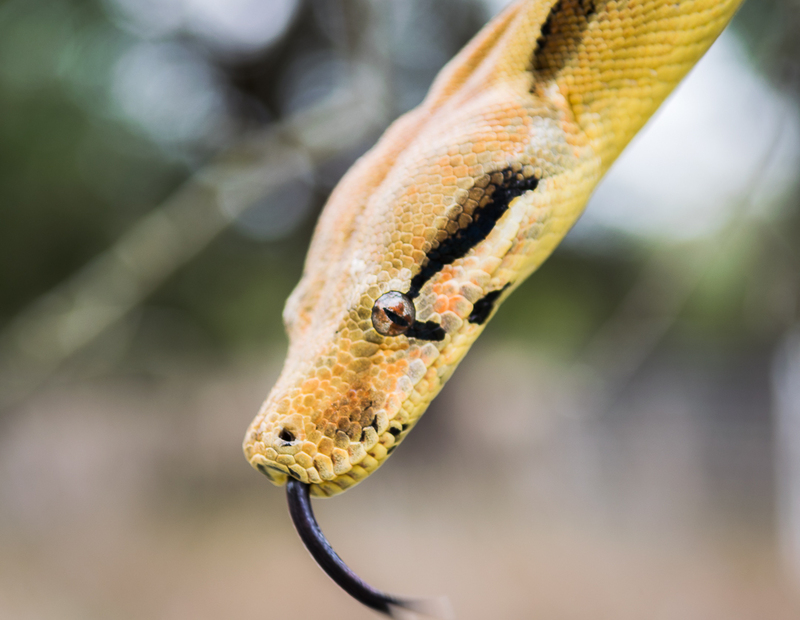 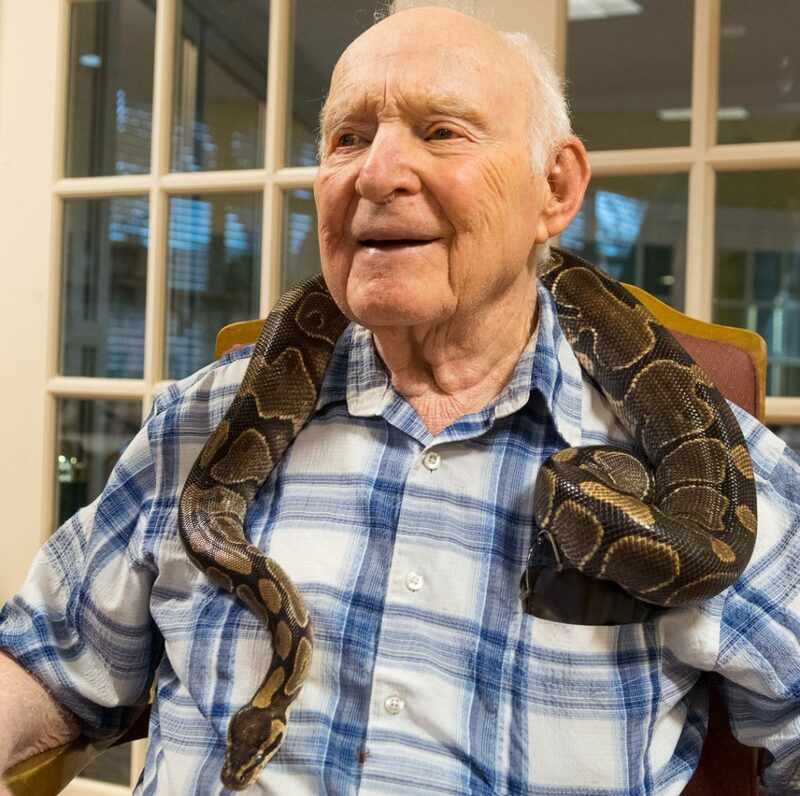 Charlie – Hypo Boa ~ He is very tame and likes to take pictures while hanging on your neck. 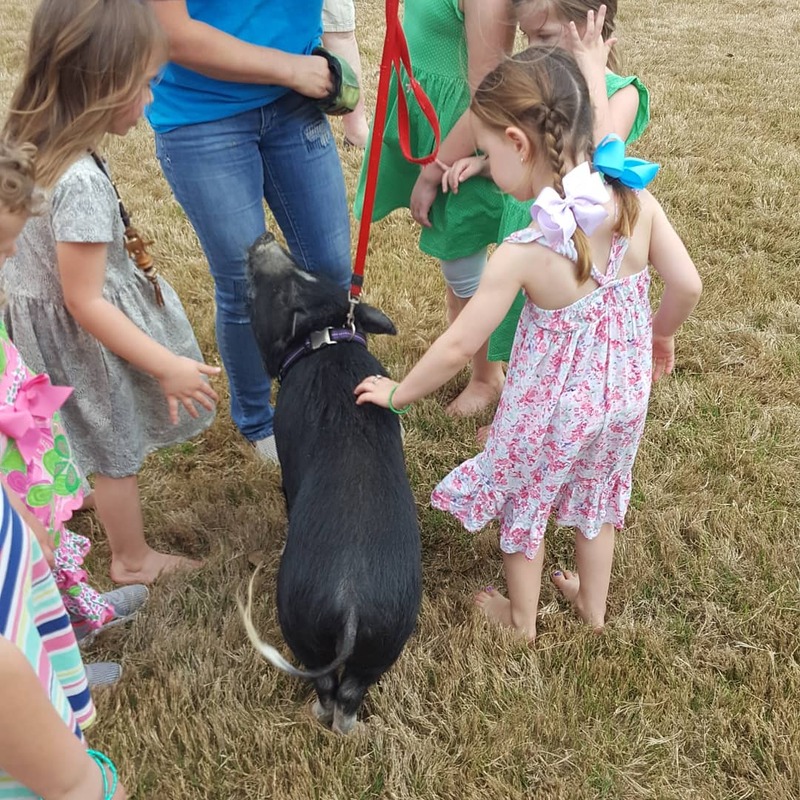 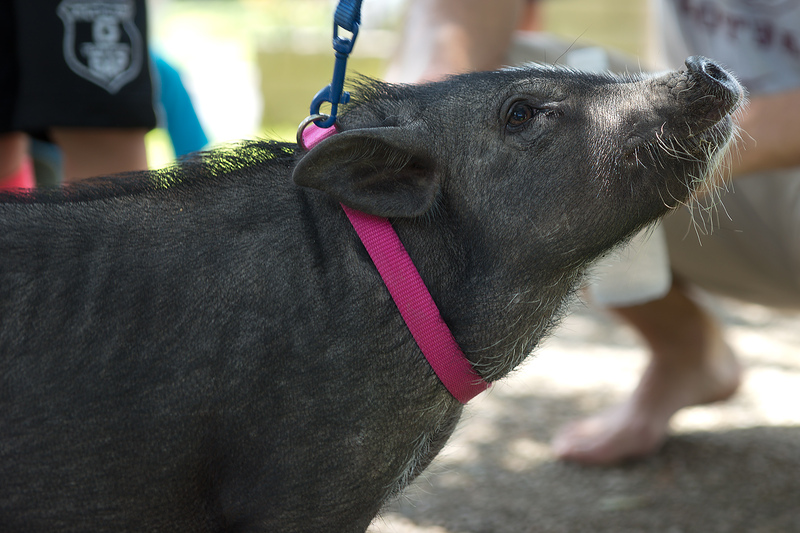 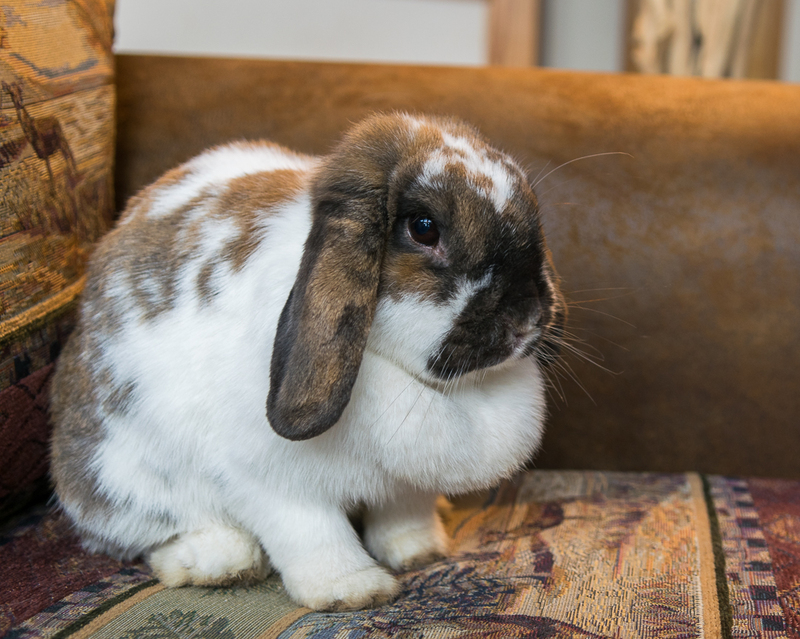 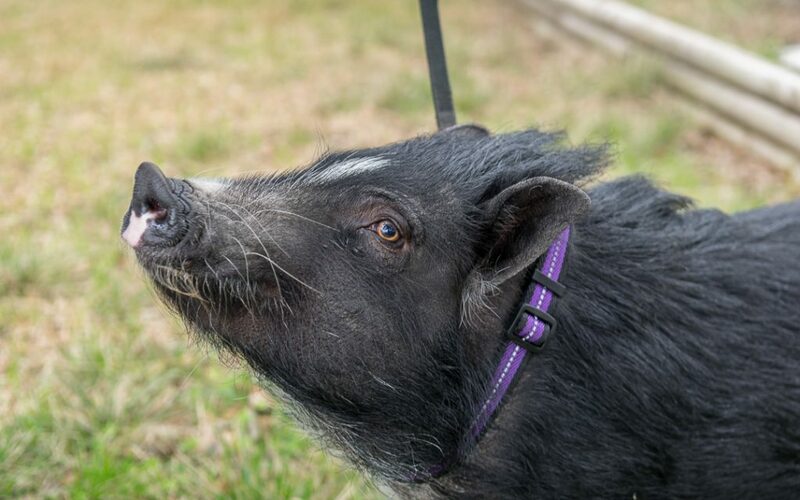 Dot – Micro-mini pig ~ She is very smart and can learn easily. 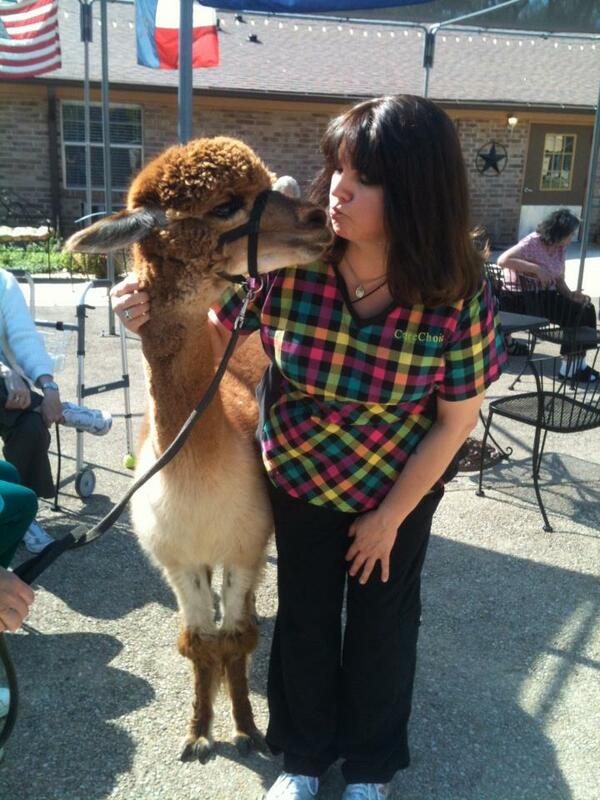 She also loves a good scratch on the rear end.